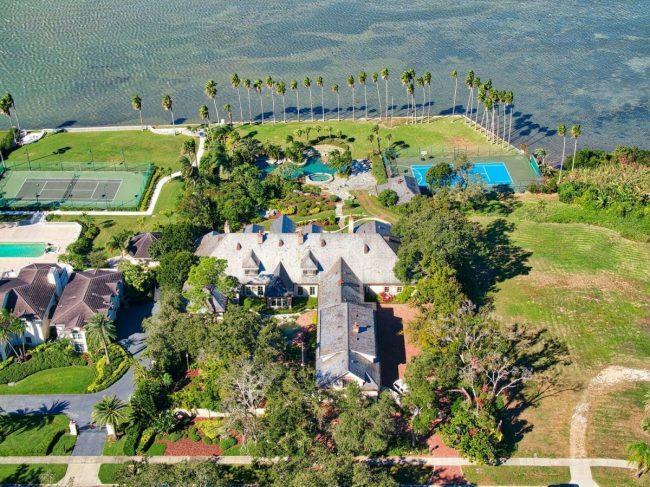 The surgical founder of Laser Spine Institute will try to sell his waterfront home in the Clearwater area in an online auction this month. Dr. James St. Louis bought the home in 2008 for $10.25 million and has listed it for sale with an asking price of $10.849 million. The minimum starting bid for the six-bedroom, six-bathroom home with 171 feet of frontage on the Gulf of Mexico will be $4.5 million. The home is at 144 Willadel Drive in Belleair, a small coastal town just south of Clearwater. The 1.7-acre property in the Willadel residential community of Belleair has an elevator, a theater, a sauna and a safe room. Outdoor features include a Koi pond and a lagoon-style swimming pool with a waterfall, diving board and water slide. The buyer also would have access to a shared tennis court and a 35-foot dock and boat slip available exclusively to the Willadel community. The property also a walk-in wine cellar, a pool house with an outdoor kitchen and private guest quarters. Charlotte, N.C.-based Interluxe will conduct the online auction starting at 9 a.m. on April 30. The property will be open for previews on April 26, 27 and 28.